Citrus knife, 3-pointed 10 cm blade. Mushroom knife for gathering mushrooms. Chestnut knife for making incisions and easy peeling. Also suitable for garlic. 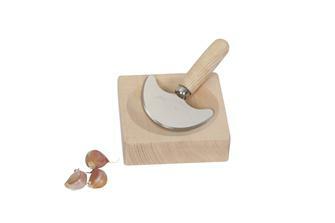 Persillade block in solid beech wood with a hollow board and half-moon chopper. 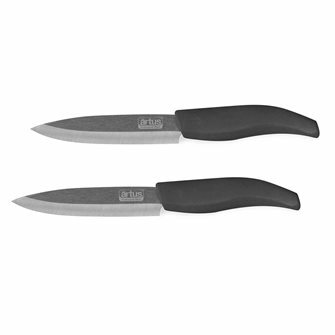 Paring knife with a wooden handle with 2 rivets. Made in France. 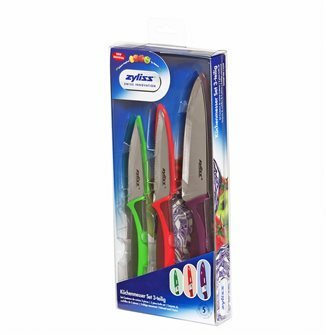 3 paring knifes in different colours for 3 different uses. 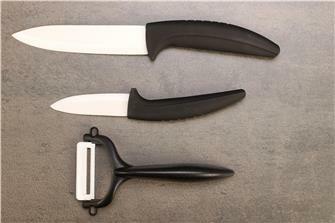 A light and easy to handle peeling knife. 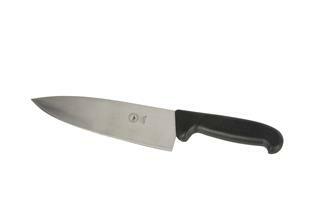 Large kitchen knife with a wide blade. 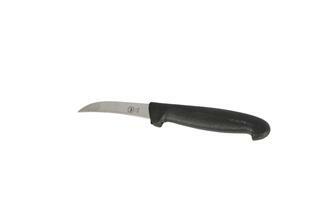 Ceramic paring knife - 7 cm - with a non-slip ABS handle. Light, ergonomic and soft to the touch. 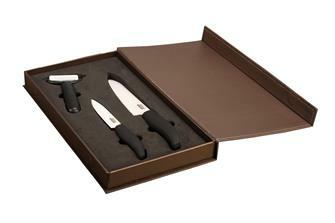 Ceramic paring knife - 10 cm - with a non-slip ABS handle. Light, ergonomic and soft to the touch. 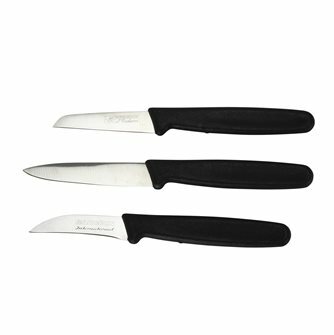 Set of 3 pieces in white ceramic for peeling and cutting fruit and vegetables. 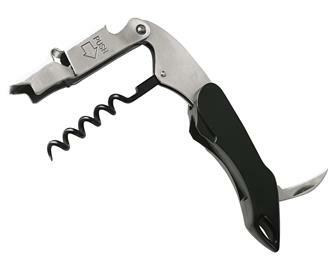 Non-slip ABS handle. Light, ergonomic, balanced and soft to the touch. 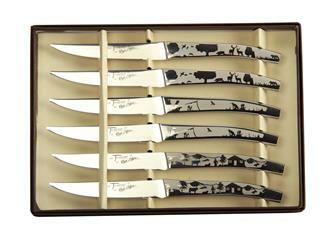 Set of 6 wrought steak knives in a box. 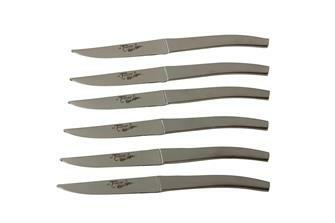 Set of 6 wrought steak knives with decorated handles. Electric knife 120 W for cutting bread, pastries, meat and frozen food. 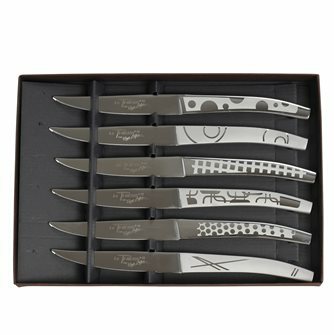 Set of 6 forged steak knives in stainless steel with Pop decorated handles.